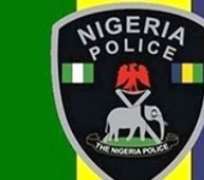 The Plateau State Police Command on Thursday confirmed that five persons were killed and two others injured at Rawuru Village, Fan District of Barkin Ladi Local Government Area by unknown gunmen. The Command, through its Spokesman, DSP Mathias Terna Tyopev, said, “On the 27/12/2018 at about 08:00 hours the Plateau State Police Command received information from Kim Timothy the Youth Leader of Rawuru Village, Fan District in Barkin Ladi Local Government Area of Plateau State that on the 26/12/2018 at about 21:15 hours some unknown gunmen attacked some people when they were returning from a birthday party from Pugu Village. “As a result of the attack, five people were killed and two were injured. He added that the Commissioner of Police in the State, Augustine Agbonlahor had asked the immediate commencement of investigation into the case to identify, arrest, and ensure the perpetrators face the full wrath of the law.